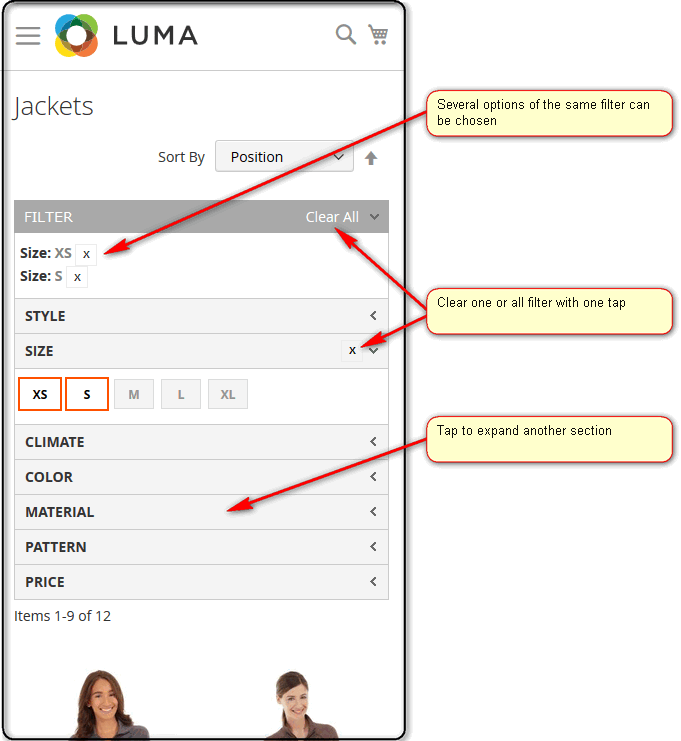 On Mobile Devices - default setting for filter visibility on mobile devices. Can be changed for specific filter. For example all filters can be hidden except of several important ones. Or, opposite, all filters can be visible except specific several hidden ones. Enable Mobile Layered Navigation On Body Width - value in pixels. If page body width is less or equal this number of pixels, mobile layered navigation block will be shown instead of normal layered navigation. 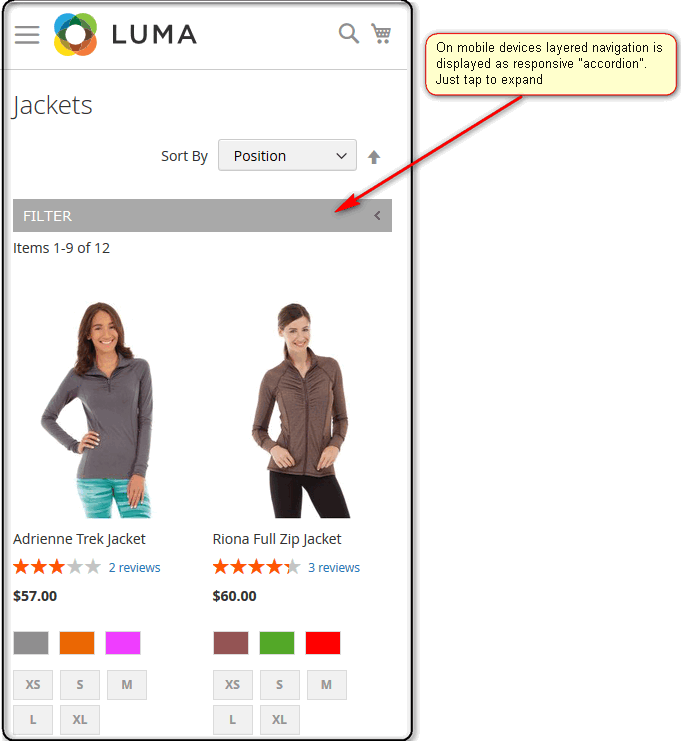 Leave empty to disable mobile layout feature. Note that mobile layout may require theme-related CSS changes. Accordion: one filter expanded at at time - when user taps on another filter, previously opened filter is closed. Initially expanded, collapsed manually - all filters are expanded initially, user can close filters if he wants one by one manually. Animation Duration - Speed of sliding effect in milliseconds.